Since the marathons always be cancelled due the haze weather, we have to wait until the weather are clear in Malaysia. 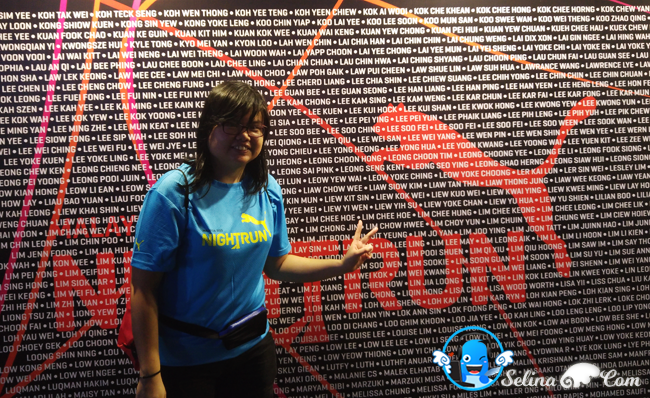 My good friend and I worried if PUMA Night Run will be cancel or not... First time, we joined the PUMA Night Run 2015 in Setia City Convention Center, Shah Alam on last 31 October 2015. I heard that PUMA got the fireworks on last year, 2014? 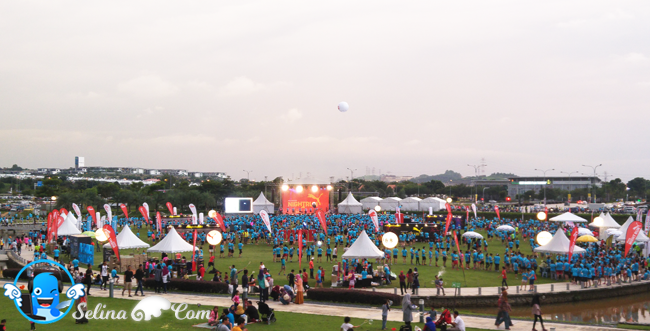 We really excited to look forward about the PUMA event in Setia Alam on this year! It just beside the Setia City Shopping Mall only! Suddenly, we saw the dark cloudy still around the sky! We missed our tour around the booths, because we rushed back to the shopping mall when the raining started out! We decided to not join the runners to run 10km because we worried and scared the thunderstorm during the runners who want to run during the heavy rain! 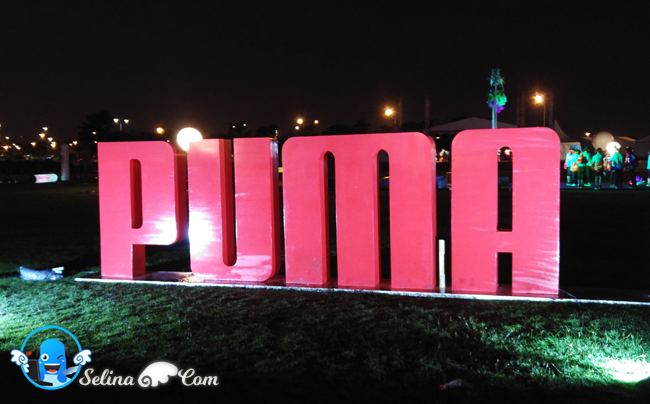 Luckily, we grabbed to take photos around the PUMA event in short time only. 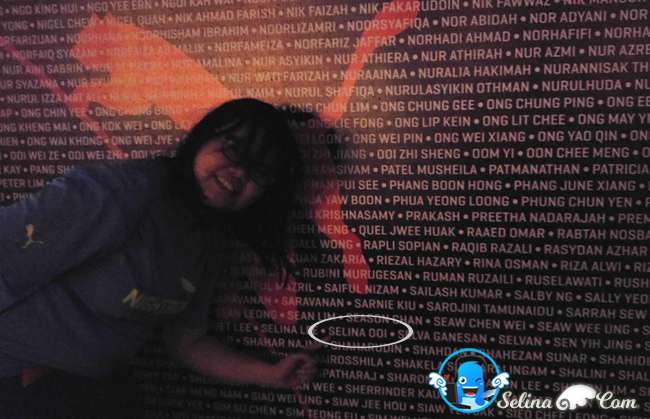 We happy to see our names which are published at the PUMA wall. We also walked in the mud grasses on our first time, as our shoes already are wet! Our T-shirts just get cold abit when we are inside the mall. We are hungry... We shocked that many restaurants always be crowed by the PUMA runners!! We have to look for a restaurant which have less customers only. We just ordered the fast-food so easily. After the raining finished, we happy to get more beautiful photos around PUMA event. We miss to collect the finisher collection pack, so nevermind. They emailed us that they will deliver our finisher collection package to us so happily! Be honest, we really shocked to see the cars in the flood area! Oh my. We are anxious, and think that we really lost my car?! When we are looking for my car, I glad that my car are not affected by flood and muddy sand! We walked in the mud again...Finally, we are safe in my car. We are not lucky to miss our running, since we are very sad that event is cancelled, due to thunderstorm weather. But, we enjoyed to shopping in the mall. So, it is not boring day for us. 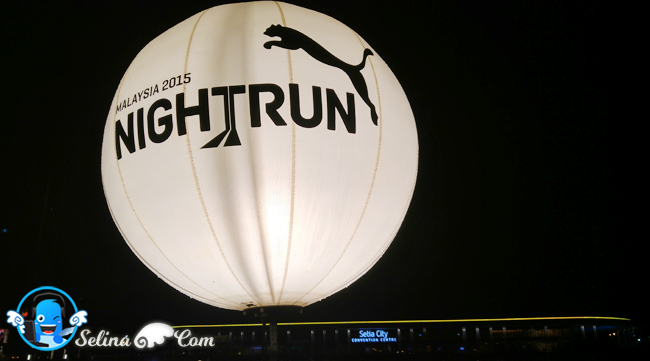 Next year, we will try PUMA Night Run 2016 again! Hope the weather always be good, ya! 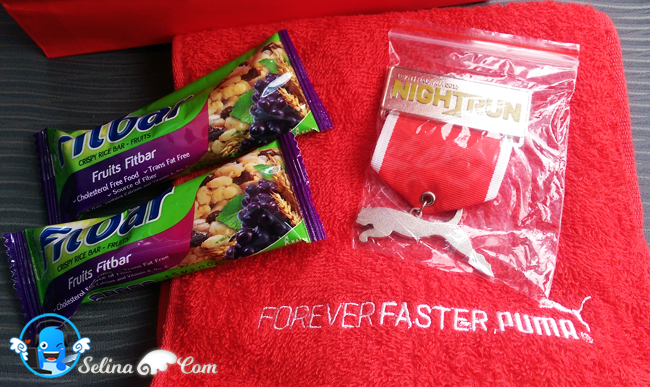 Lastly, we got the finisher PUMA medal so cool!